We give individuals, leaders and teams the mindset, skills and tools to transform the way they think and act, leading to incredible results for you and your organisation. FACILITATION COACHING LEARNING & DEVELOPMENT Do you need a bespoke solution to unleash potential? 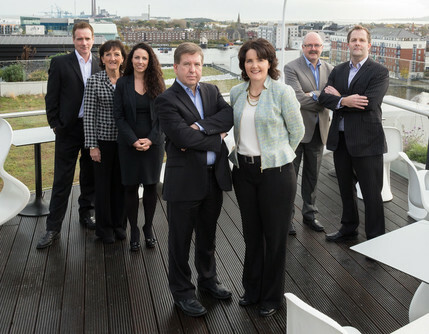 Invisio facilitates individuals and organisations to achieve real results through people. At Invisio we provide Management & Team Development Learning Solutions, Executive Coaching and Facilitation Services to a wide range of organisations. We focus on people and organisation development, recognising that more often than not the solutions to a challenge can be found within. Invisio works with organisations like yours to design, develop and deliver focused people and business solutions to your challenges and opportunities. Tony’s international management experience encompasses Ireland, the UK, Channel Islands and Middle Eastern countries, such as UAE (Abu Dhabi and Dubai), Bahrain and Jordan. In each case he was responsible for large teams of people in both multi unit and multi cultural environments. 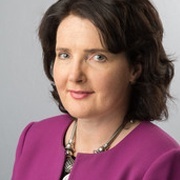 Louise Mc Namara has extensive operational and general management experience in the areas of HR and Executive Coaching. Louise has spent several years providing learning solutions and facilitation to businesses in Canada, USA, Mongolia, Malaysia, Vietnam, Indonesia and Uganda. Tony has 20 years experience in operations, business development and learning solutions in a variety of industries. He has worked in the UK, Spain, Scandinavia, USA and Luxembourg, delivering and implementing programmes specifically designed to improve performance, sales, and service. Do you have questions about our courses or programmes? Then call us or send us a message via the contact form.